McKendry Subdivision Fort Mill, SC from Turner Real Estate Group on Vimeo. 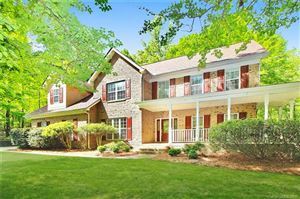 Fort Mill homes for sale in McKendry. McKendry is a neighborhood conveniently located off of Doby’s Bridge Rd in Fort Mill, SC. Nearby neighborhoods include Ardrey Acres, Stirling, and a little further down the road Whitegrove. Mckendry is located close to historic downtown Fort Mill and is a short drive from I-77 and Highway 521. Many stores and restaurants, as well as the Post Office andLeroy Springs Recreation Complex, are located within 2 miles of Mckendry. The homes in McKendry were built by Shea Homes within the last 10 years. They are constructed of brick or a combination of brick and vinyl. Lot sizes average around a third of an acre giving you plenty of room for gardening and outdoor activities. Since McKendry is a small neighborhood and consists mainly of cul-de-sacs, you will be able to enjoy the outdoors without the noise of passing cars. Located just behind McKendry is the beautiful Fort Mill Golf Course giving you another reason to enjoy the beautiful Carolina weather. Homes in Mckendry are spacious, many are in excess of 3,500 square feet, and are well suited for modern living with open floor plans, hard wood floors, and gourmet kitchens with granite countertops. 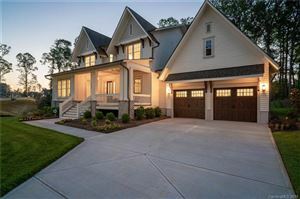 Fort Mill homes for sale in McKendry is a must look.